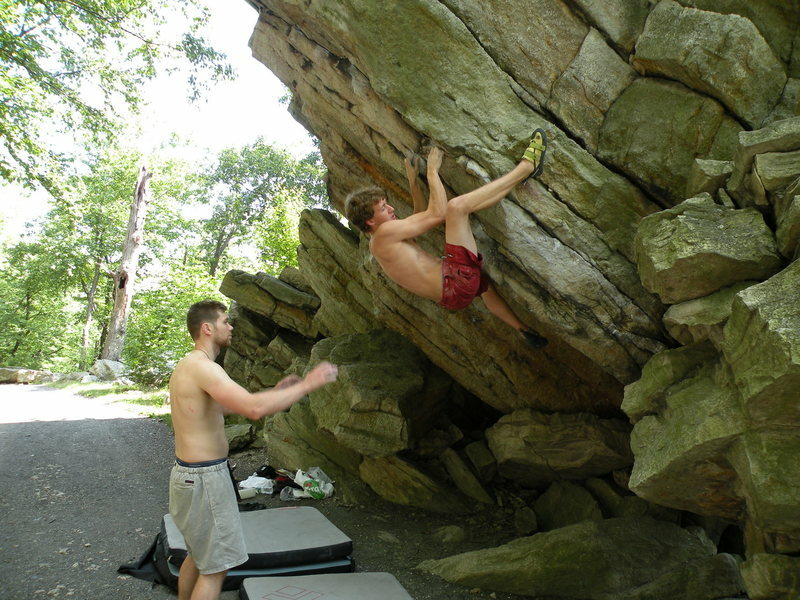 Tyler on Million Dollar Problem (V5) and Colorful Crack (V1), there are also quite a few good warm-up problems. There are many ways to get to the top of the Boulder of the Gods (V0-), and innumerable approaches to traversing the Welcome Boulder (V0). The Stained Boulder (V1) problem and Lazy Mazie (V1-) also make for a good moderate start to the day. 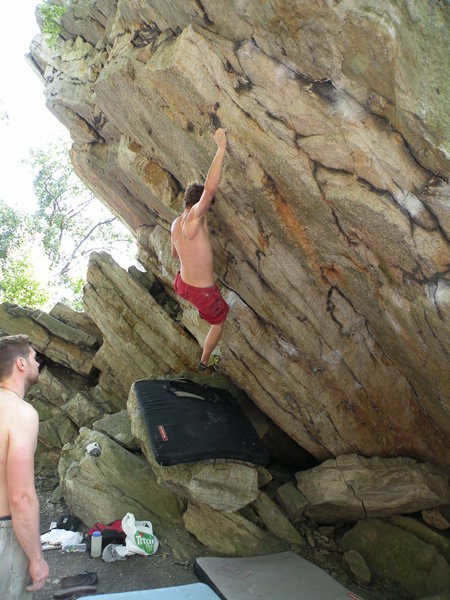 Don't miss the steep jug hauling and jamming on the Lorax (V2). The Steel Bridge boulders are located on the northern side of the Trapps Bridge, which crosses above route 44/55 not far from the West Trapps parking area.